If you have the cabinet space for it, buying in bulk is one of the ultimate strategies for eating clean on not so much money. If I buy a bigger bag of quinoa, I’ll make more quinoa recipes, because it’s right there in my cabinet. Plus, that cuts down on the times I’ll have to run out and buy another bag, which turns into less money spent and fewer times I have to fight off the impulse to dump the entire candy aisle into my shopping cart. 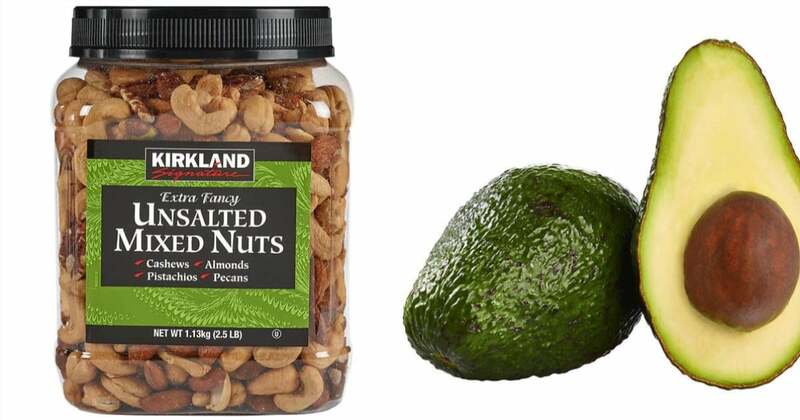 So what are the healthiest foods you can buy at Costco, aka the bulk-buyer’s paradise? There are a lot of options, and it all depends on your health goals, but we decided to start by asking the professionals — registered dietitians, or RDs — what they buy on their Costco excursions. Grab a couple of recommendations, your Costco card, and the biggest shopping cart you can find, and I’ll see you in the checkout line.